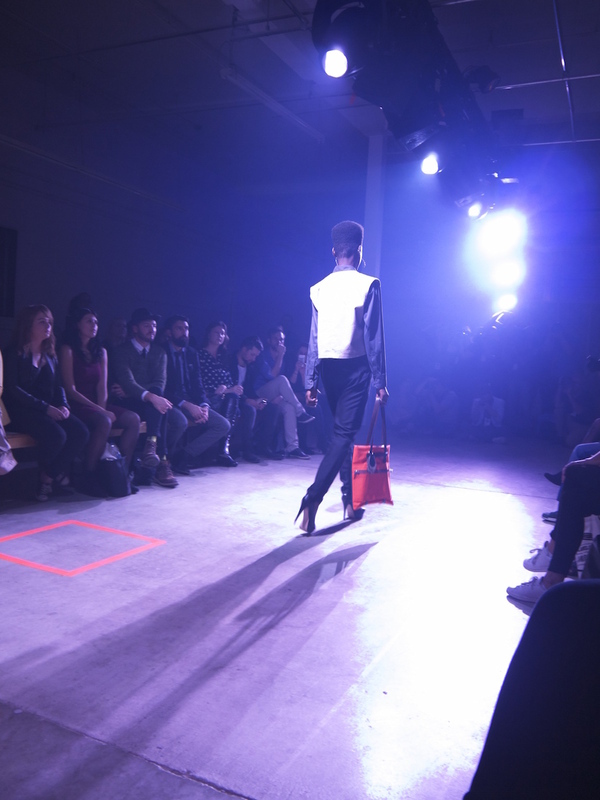 Innovation has taken over the local fashion scene since Le Groupe Sensation Mode made their decision this year to no longer host the city’s wealth of local talents at Semaine de la Mode de Montréal. 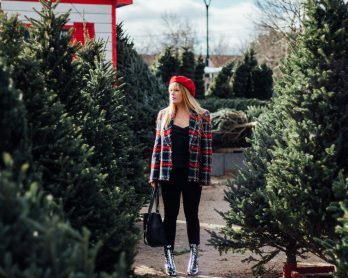 In the wake of this drastic change in the presentation calendar, an opportunity presents itself to curate new and creative modes to showcase designers’ seasonal lines. Montréal’s unique situation is the result of its proximity to major fashion capital, New York City, which, while meaning big competition for its northern neighbour, also allows for a great deal of mutual inspiration and collaboration. As a result, the nature of Montreal’s designs tend to preference ready-to-wear practicality and forward thinking style rather than showcasing labour-intensive art pieces the likes of, say, the late, great, Alexander McQueen which saturate presentations in cities such as New York, Paris and Tokyo. The movement has been away from such theatricality towards an economical model which is more aptly suited to the scale and style of Montréal life. This is not at all to insinuate that there is a lack of creativity here. Montréal designers simply seem to aim their appeal to buyers and those who are ready to slip into a new look right away, rather than waiting for the watered-down version of elaborate runway designs. All of this has changed the nature of the fashion game in Québec. Stepping up to the plate In the midst of all of this restructuring are Nancy Richard et Geneviève Allaire with their initiative Accès Mode. 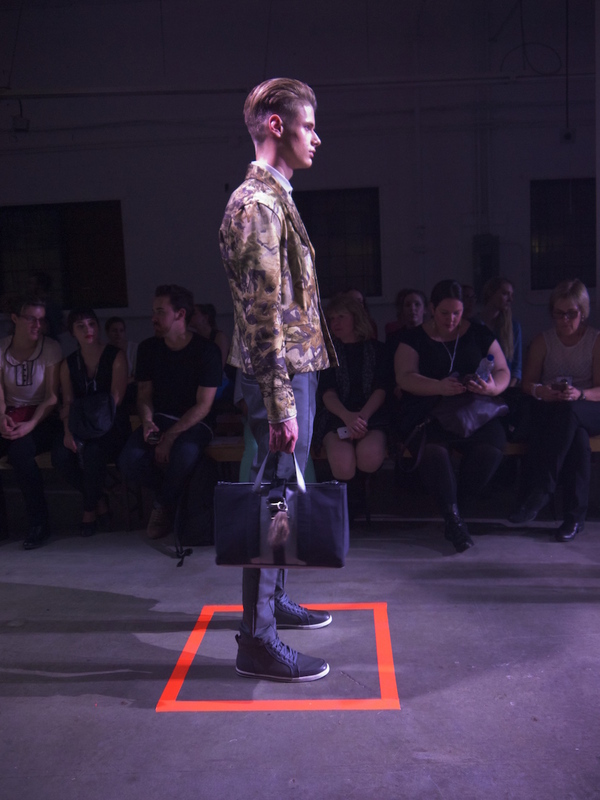 Their organization consists of a collection of fresh local designers who work together to lead the Québec fashion industry in the recent shift in its approach to presentation. 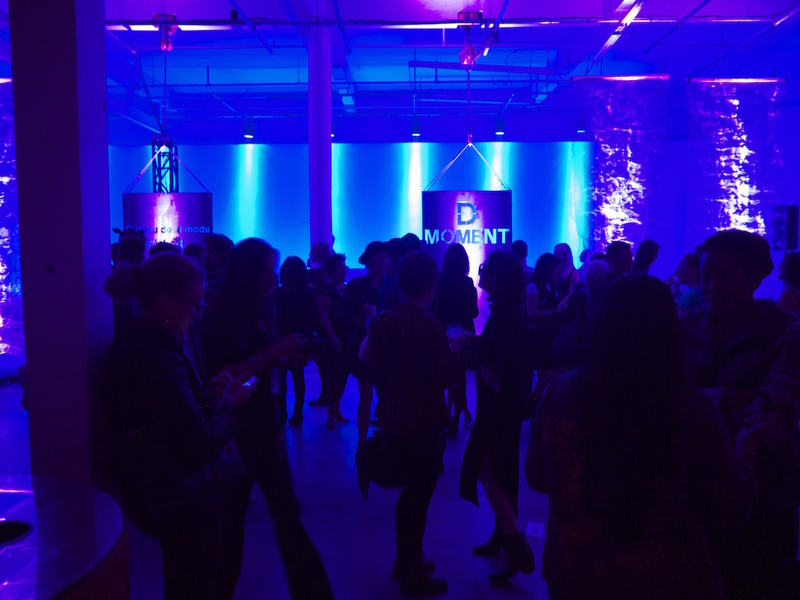 Their premier event, D Moment, has emerged as a phoenix from the ashes to propose a new way of doing things. 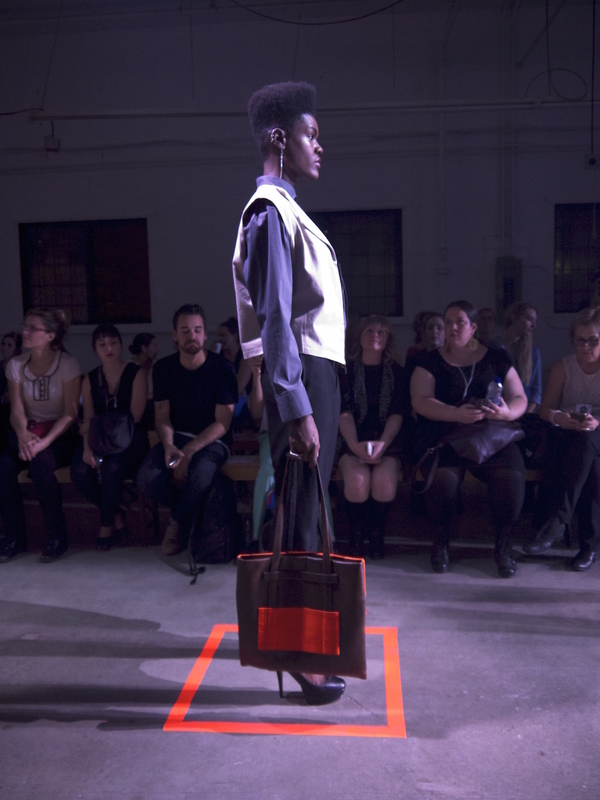 Most recently, D Moment held its showcase of ten local designers’ visions for the season. 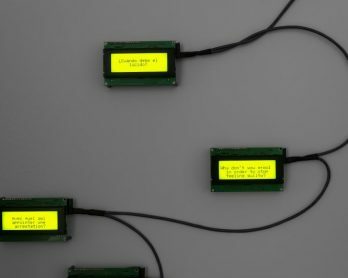 The interactive event space created an accessible dialogue with designers and their designs. 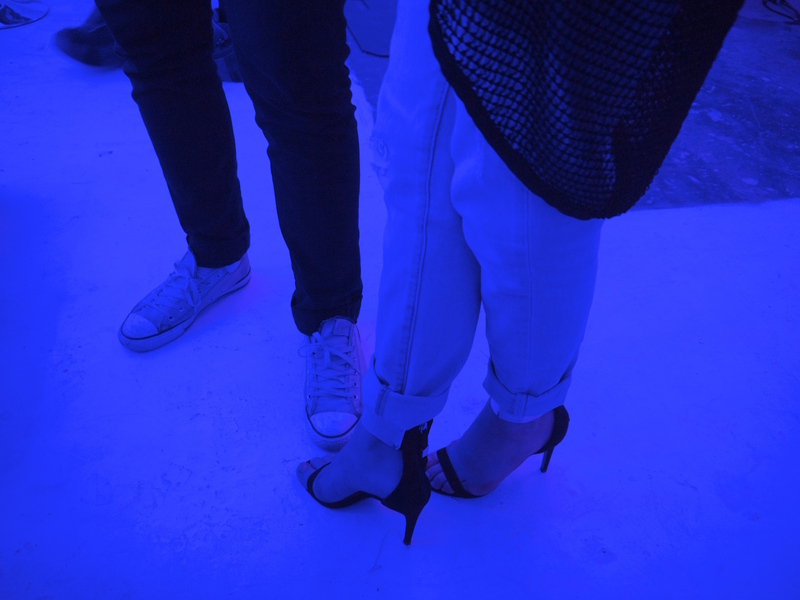 Walking in to D Moment at Fullum Studios, a trendy film-studio space, cool blue lighting bathed the room. Cocktails, boutique eats and a barista on an bike cart making espressos welcomed the fashion community to mingle and discuss the lines being shown. The space was crafted so as to remind attendees of the creation process: shipping crates with the presentation schedule sprayed on with stencils organized the space; designer Matt U organized a station where you could make your own fur and leather necklace design; and aquascape art installations, very popular self-sustaining aquatic ecosystems which are all the rage in Japan and Germany, were developed in stages throughout the course of the event by Paysaqua. All of this brought the creation process alive at D Moment. Each day started with a lecture series: one on seasonal trends, the other on dressing for change. It was just the brain juice needed to ramp up the discussion of the new direction which Montréal’s industry is taking during the intermittent cocktail breaks between runway presentations. The energy of the young fashion talents organizing the event permeated the atmosphere while guests got excited about what their city has to offer the global fashion community. 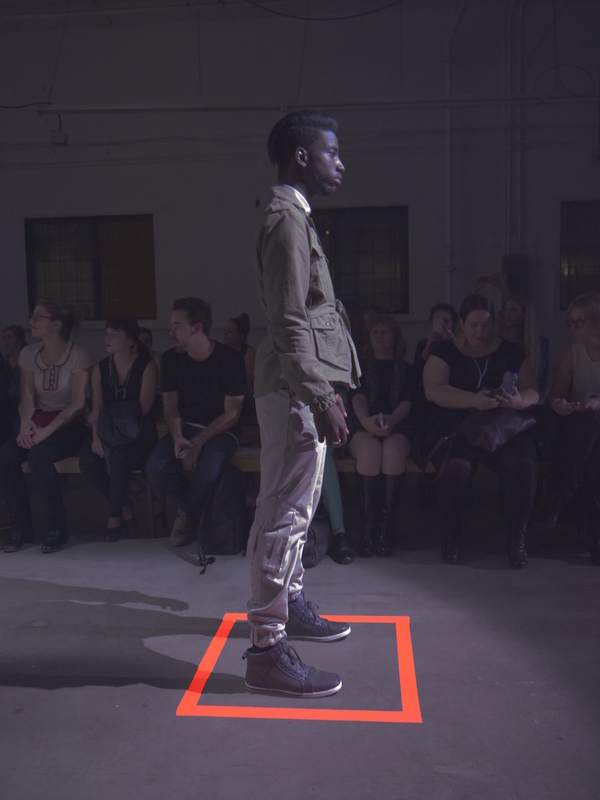 In light of the ready-to-wear leanings of Montréal’s fashion scene, a showroom was continually kept afresh with looks straight off of the runway to be handled and more closely inspected by patrons of the event. The showroom approach emphasizes the nature of these new events, which insist that fashion is a lifestyle, not just a spectacle. If you aren’t already familiar with the name, this line of eco-friendly bags and accessories are made of vegetable tanned leather and are designed to develop their colour with use, eventually becoming a rich caramel hue. Each piece is sealed with a biological wax to protect the tanned leather and make for a durable product which will last up to 40 years. The brand believes in designers who take the time to work on each piece and support local consumption of products. 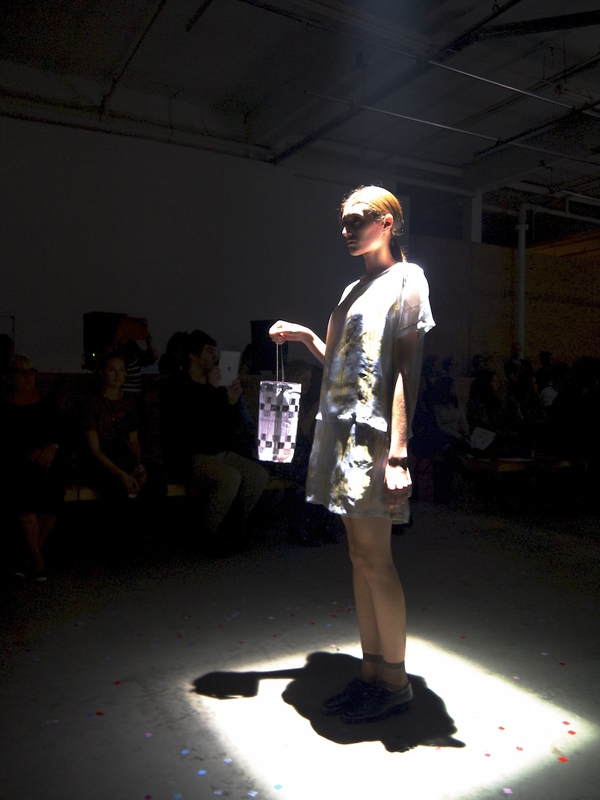 All this, in conjunction with their necklace designing station outside of the show, enforces the idea that in Montréal, we live our style, we interact with what fashion means to our lives. A perfect fit for D Moment. The looks in this collection were very fresh, featuring clean lines and functional structures which make a visual impact paired with any outfit. The collection ranges from watches and wallets to backpacks and handbags. Mat u’s designs added a chic and crisp element to the profiles of the models in their runway showing. 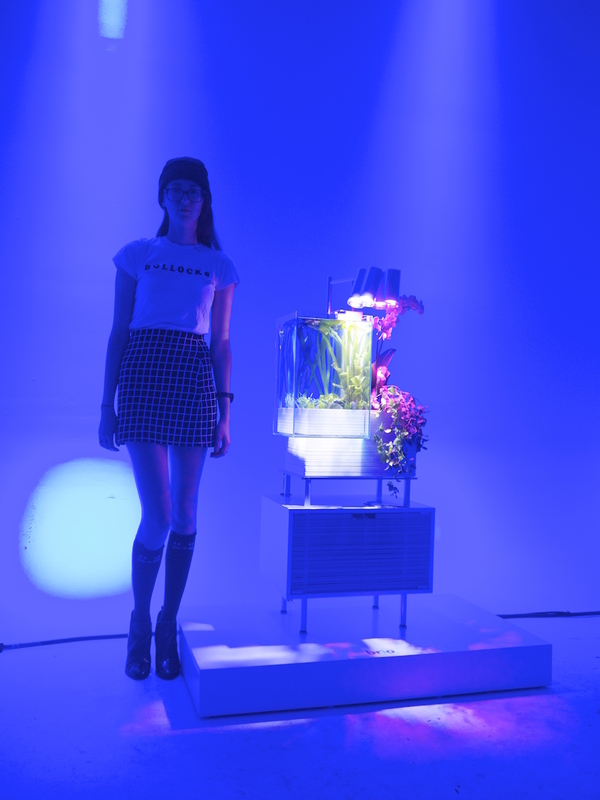 A student of performative wearables, Valérie LaMontagne’s showing invited her audience to a futuristic garden party. 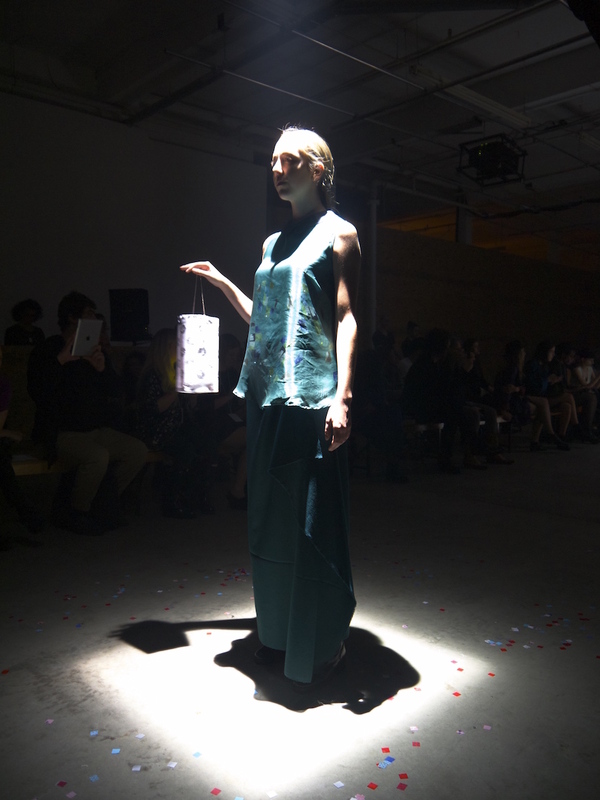 Her models walked trance-like while holding lanterns, taking turns standing in scattered spotlights, sometimes obscured by darkness. 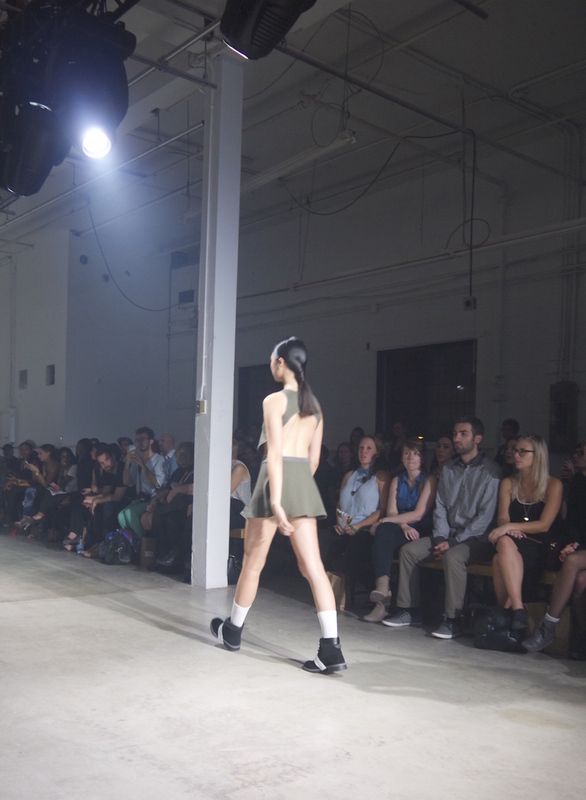 The looks featured had many loose fit edges draping skirt-like shirts over actual skirts and shorts. Patterned silks fabrics draped dreamily over the models. As the eerie sound of birds echoed in the background, the outfits of some of the girls twinkled with small lights beneath over-layers. 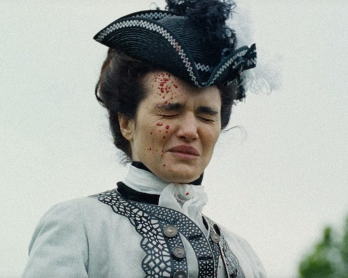 This showing stayed true to the designers fascination with post-digital performative designs and brought an element of showmanship to the wearability of the looks. Concluding the first day of D Moment was designer Oscar Mendoza, who sent a stream of angelic visions of lace flowing down the runway. These looks were a tasteful and elegant celebration of human form, simultaneously covering and revealing the sensuality of the contemporary woman. Rocking one of these beautiful gowns would be perfect for a swanky affair out on the town. This presentation of militant meets floral was tinged with pops of neon. The models were given neon squares to stand in and followed a precise pattern of movement which mimicked the precision evident in the designs for this Fall/Winter 2014-2015 collection. Well fitted trousers and military jackets from this collection would make for a fierce statement when conquering the urban jungle. For the new cult of cool kids, V-Franz’s show started out with a trippy-cool video installation which proclaimed that “good style can’t be carried with no class.” This collection was wicked cool and featured elaborate layering of multiple crisp cut-out elements into puzzle-like attire to create intelligently linear looks. A selection of styles had models walking with small gym-towels around their necks and reminded us of Alexander Wang’s new collection for H&M. Looking fit seems to be becoming a little more literal. Tight-fit bottoms contrasted with loose tops were paired with sock and sandal combos which somehow seemed to work in a “I don’t give a …” kind of way, living up to the brand’s style. The under-bum made an appearance through a selection of mesh and sheer skirts which were in line with the covered-but-revealing approach which Oscar Mendoza’s collection also seemed to be playing on. V-Franz also high-lighted some nifty cuts on their tops which brought the eye-line to the models’ lower backs, a lesser framed element of the body than we are used to. 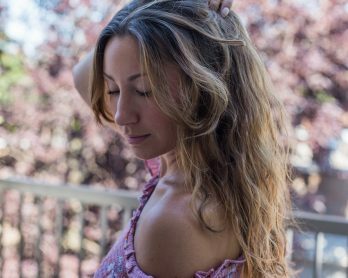 We’re intrigued by what this new talent has to show and impressed by the volume of looks displayed. 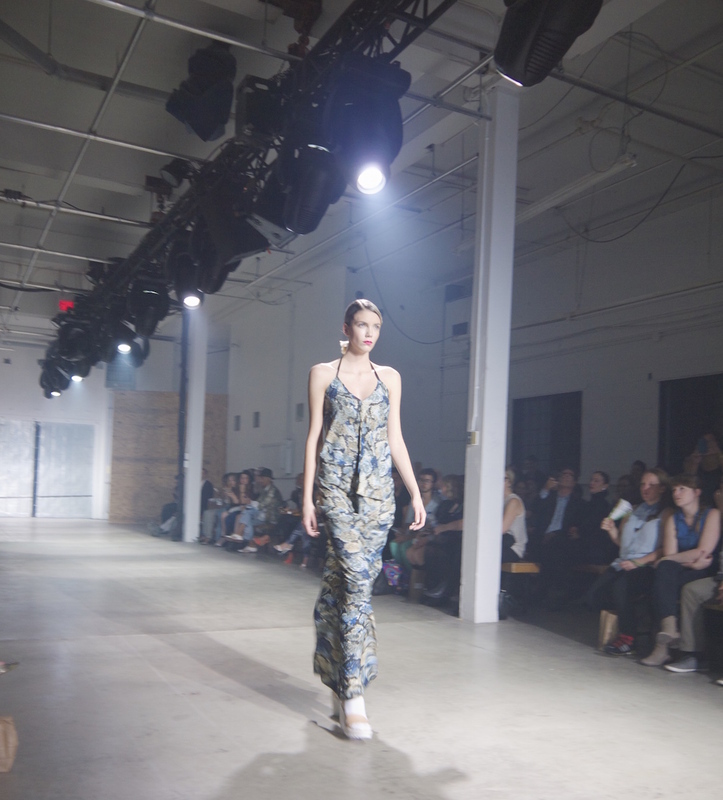 This monochromatic collection was presented to the backdrop of some groovy live vocals. After each look was shown the girls took a posture at the back of the runway forming a picturesque collection of classy couture dolls. The all black and white approach had the classic effect of allowing the lines of the collection to take most of the attention. Fabric variations let sheer, lace and patterns grab the eye while allowing for skin to sneak through. The body-hugging silhouettes of this collection were mixed with beautiful draping of the skirts of dresses. These looks were made for someone with an attitude not to be messed with. 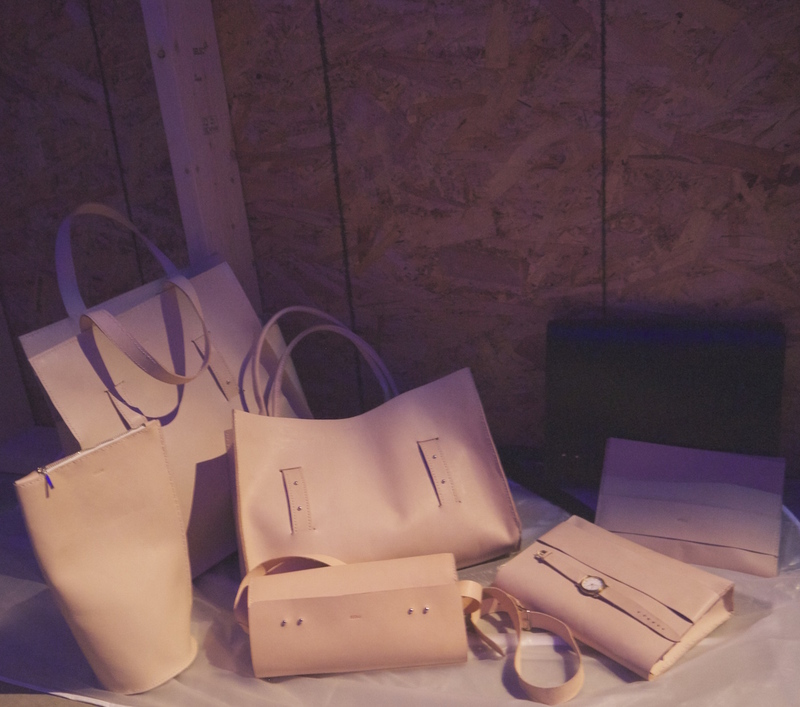 Other designers who showed at the event were Melow par Mélissa Bolduc, Équilibre, Voyou, Blank, Impair and Andrea Montle. It was a stacked line up! 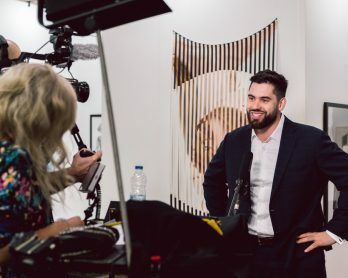 Overall, D Moment was full of a positive and motivational energy which made it very clear that even without Semaine de la Mode de Montréal, there is plenty of creative spirit pulsing through the city. 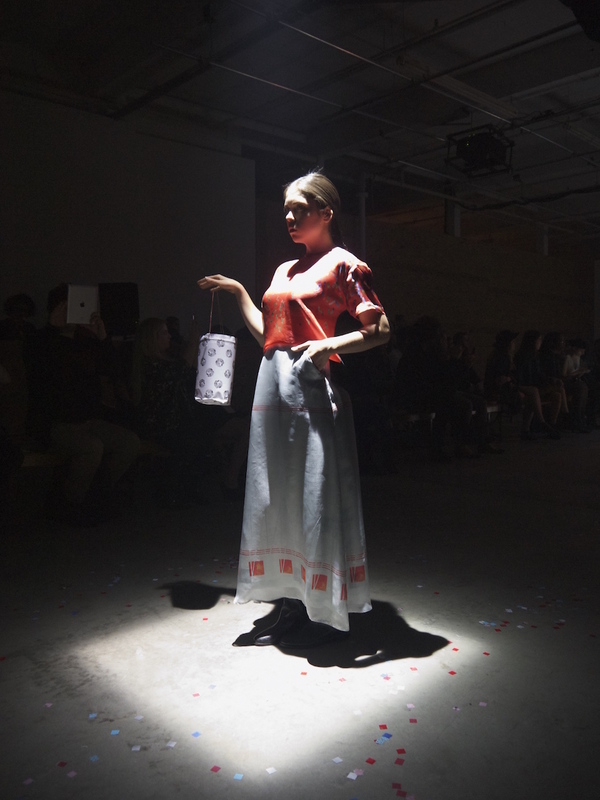 The interactivity and variety of presentations has us excited to see what other new ideas fashion-minded Montréalers have in store to wow us with next. 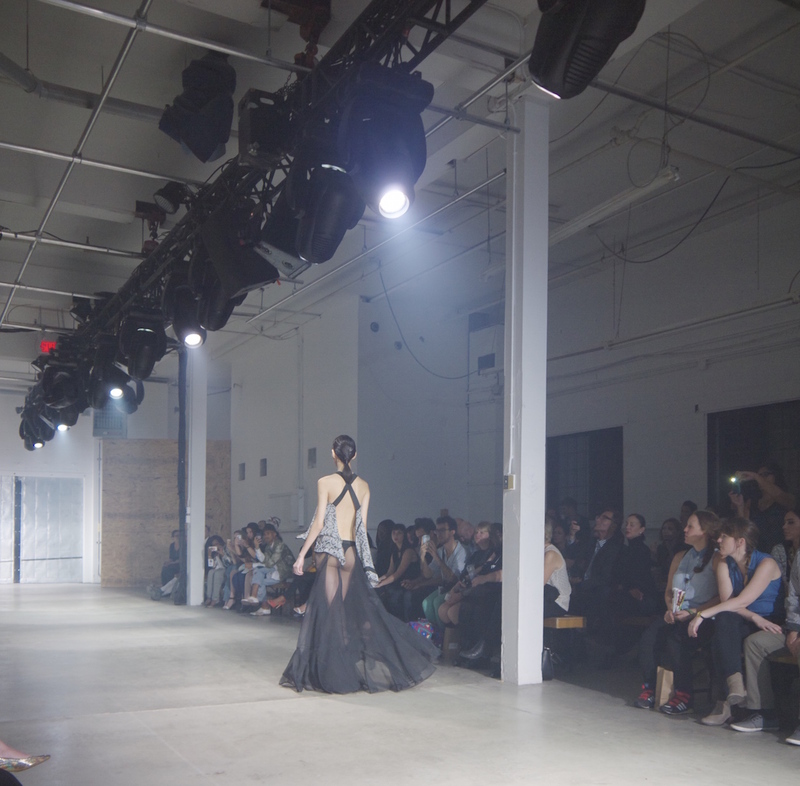 We would love to see more showrooms at runway events to allow for a more thorough look at the visions which so-often fly by too quickly to fully appreciate for their intricacies on the catwalk. 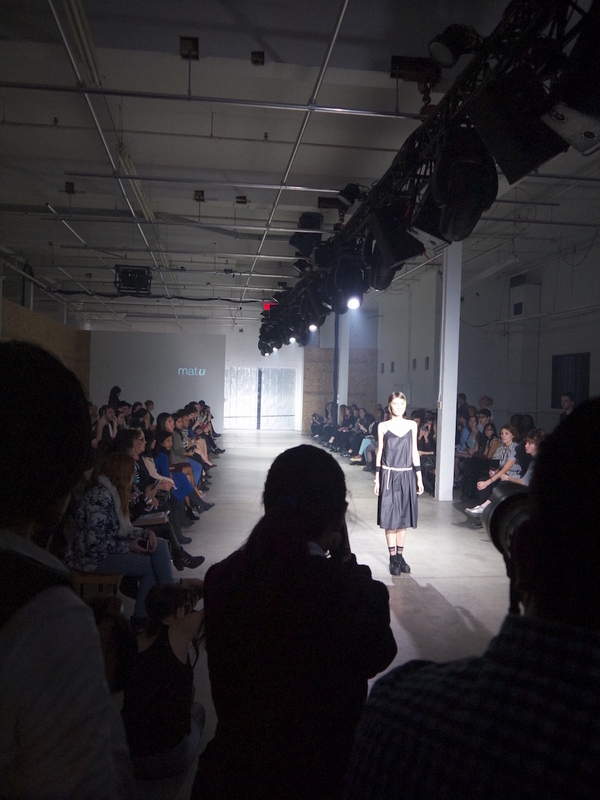 Either way, it will be exciting to see how Montréal will continue to evolve its fresh approaches to fashion presentations as it postures itself outside of the fashion week system. D Moment captured this momentum.